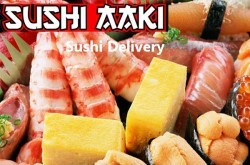 Sushi Aaki Japanese food home delivery service in London. Get the best, freshest restaurant quality sushi at resonable prices for Sushi Aaki London. Order top-quality sushi takeaway from your own home online.